This month, there are not that many pictures, so I just want to start by saying today is a good day! New episodes of Scandal and Grey’s Anatomy tonight! 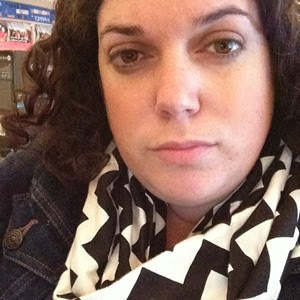 It’s the first day of the consignment sale (after pre-sales) and I’m going shopping. And it’s my mom’s birthday! Happy Birthday Mommy! 1. 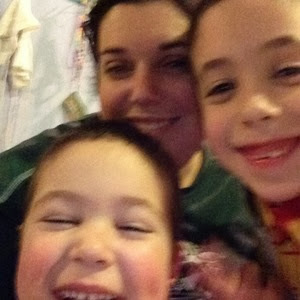 Zachary, Simon, and me. 2. 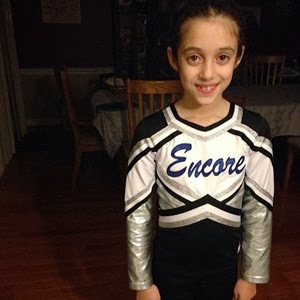 Gabbie after her first dance team performance. 3. 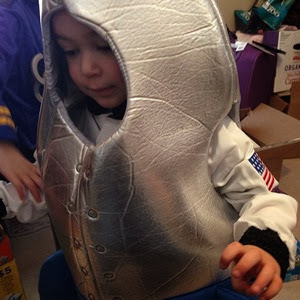 Simon dressed as an astronaut in a rocket ship. 4. 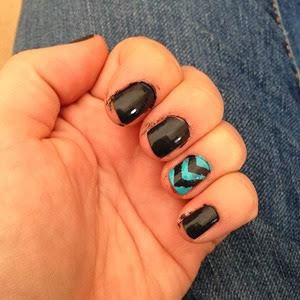 My nails, using Kiss Nail guides to make the chevron stripe. 1. 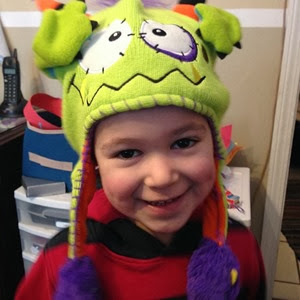 Simon’s adorable smile, wearing his favorite hat. 2. Selfie. 3. 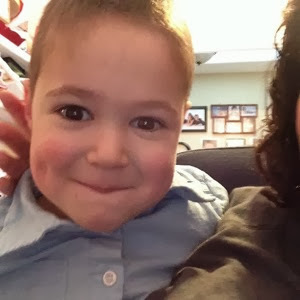 Simon’s silly face. 4. 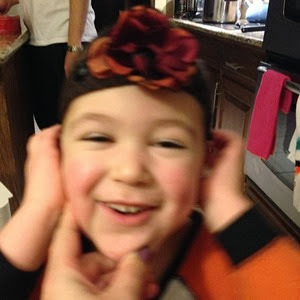 Simon wearing Gabbie’s head band.